Unique piracy imprisoned in Ireland / CCTV, thieves stealing ATM to the cranes - HailNewsUp.com provides latest news from India and the world. Dublin: In Northern Ireland, a gang of thieves resorted to cranes to steal the ATM. The police have recently released a video related to the incident. 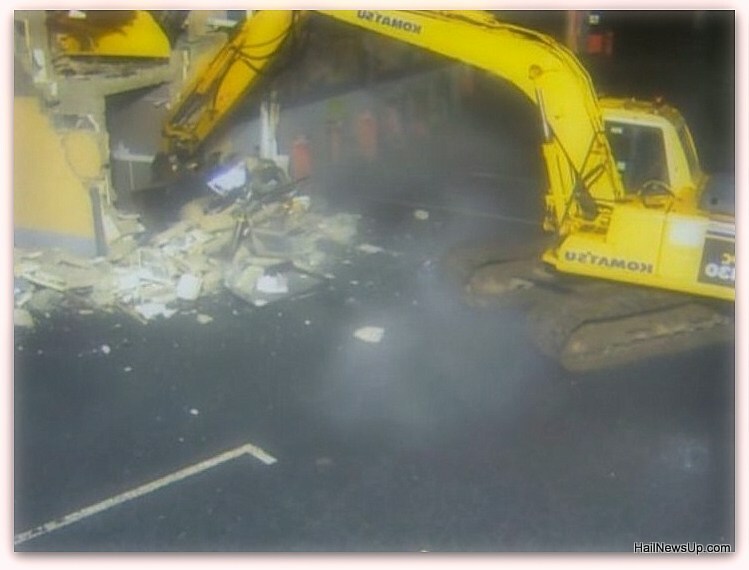 In this, the mouth-covered thieves can be seen extracting the ATM with the help of a crane. According to media reports, this incident is outside a shop located in County Londonderry. The thieves first broke the building ceiling and walls with cranes to remove the ATM. After this, it can be seen by trying to uproot the machine and put it inside the car's roof with an open part. The police say that this whole burial lasted only four minutes. When the machine did not enter the inside, thieves ran the car in the same situation. It was told that the thieves stole from a building site near the Crane spot. To stop the growing incidents of ATM theft here, the Police Department had announced to create a new team of detectives. However, there is no particular difference in the incidents of ATM theft. Eight incidents of ATM theft occurred in Northern Ireland in 2019. After the ATM theft last week, the police had issued an alert and said that it could have the hand of different gangs.